Casey Family Programs is the nation’s largest operating foundation focused on safely reducing the need for foster care and building Communities of Hope for children and families across America. 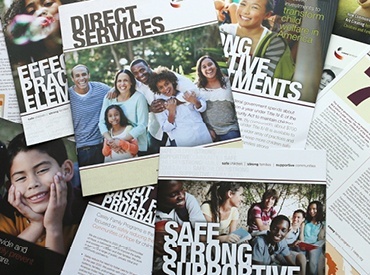 Our mission is to provide and improve — and ultimately prevent the need for — foster care. Safely reduce the need for foster care by 50 percent by the year 2020. We partner with child welfare systems, families, policymakers, courts and American Indian tribes to support practices and policies that safely reduce the need for foster care, increase the safety and success of children and strengthen the resilience of families. Demonstrate how every child can have a safe and permanent family. We provide and improve foster care and related services to demonstrate how every child can have a safe, permanent and supportive family. Through this work, we seek to influence improvements in life outcomes, especially in the areas of education, mental health and employment. Support more effective investments in children and families. We contribute nonpartisan information, data and resources to help public officials make more effective investments — and reinvestments — in children and families. Encourage a shared vision for success. We encourage community leaders to think, plan and act collectively to improve the long-term safety and success of children and their families. Casey Family Programs works in all 50 states, the District of Columbia and two U.S. territories and with more than a dozen tribal nations to influence long-lasting improvements to the safety and success of children, families and the communities where they live. At the end of 2017, Casey Family Programs’ assets totaled $2.4 billion. Since our founding in 1966, Casey Family Programs has invested more than $2.7 billion to support improvements in programs, services and public policies that benefit children and families in the child welfare system. Find information about our work, including brochures and annual signature reports available for download.